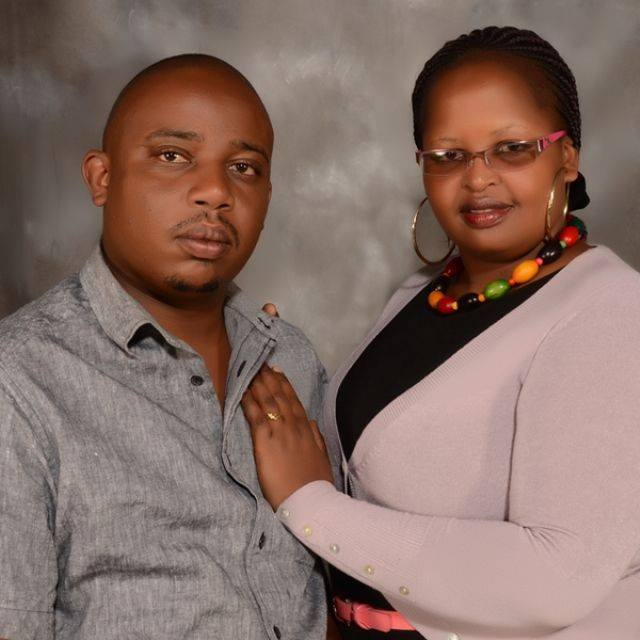 Home / Editor's Choice, Entertainment News, Featured Articles, Forum and discussion, Gossip and Drama / Leaked WhatsApp messages between KORI and his slain wife MARY WAMBUI emerge, this woman was going through hell in her marriage. 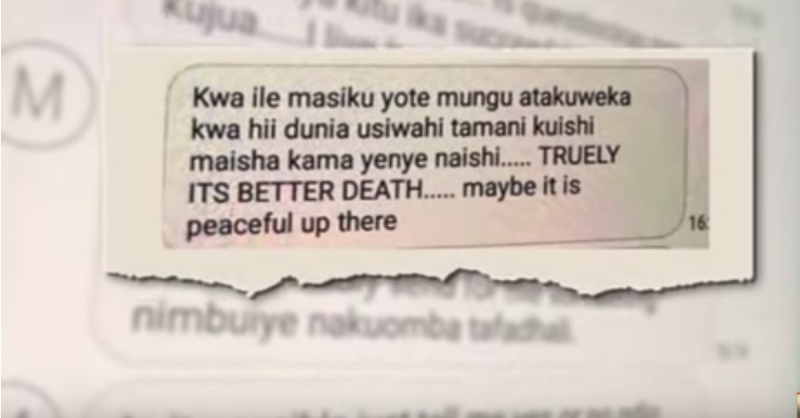 Leaked WhatsApp messages between KORI and his slain wife MARY WAMBUI emerge, this woman was going through hell in her marriage. Friday, February 1, 2019-WhatsApp messages between youthful city businessman Joseph Kori and his late wife Mary Wambui, prove that their marriage was rocked with cheating allegations. 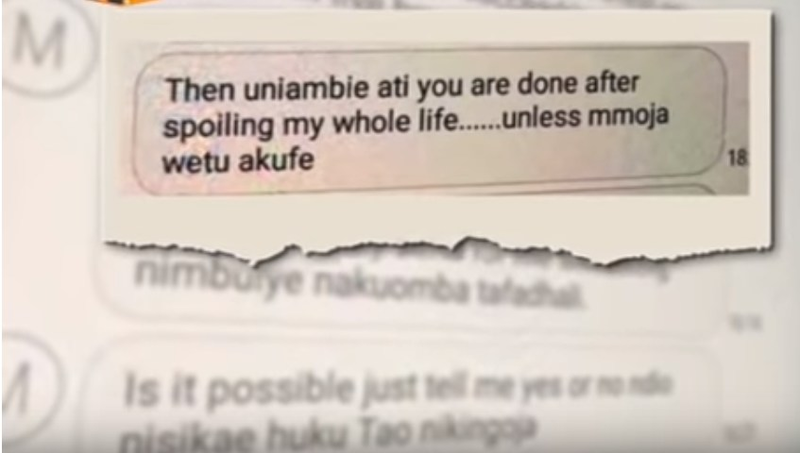 In one of the messages, Kori confronted his wife claiming she was cheating on him. 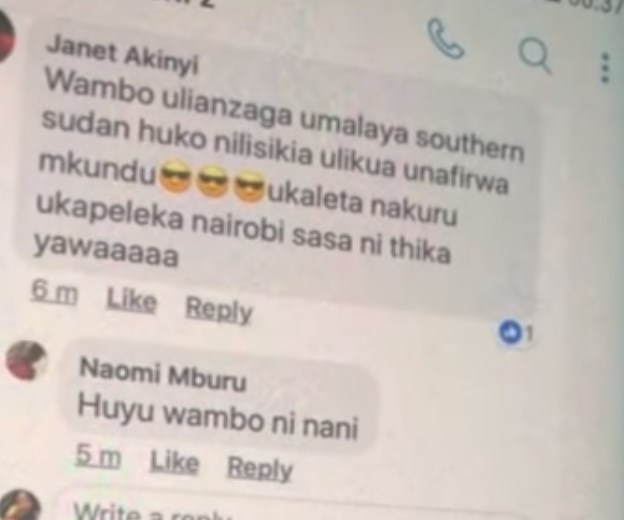 He sent a message to his late wife Mary from one Janet Akinyi, claiming she was selling her flesh in Southern Sudan and continued to do so even after she jetted back to the Country and settled down for marriage with Kori. Kori then went silent, prompting his late wife Mary Wambui to initiate a conversation. She sent him several messages on WhatsApp which he refused to reply. The late Mary then confronted her husband and demanded to know why he was dumping her for another woman. She even threatened to end up her life. Mary was killed last Saturday after Kori’s mistress Judy lured her to her house along Kiambu Road. She found Kori in there and a fight erupted, leading to her untimely death. 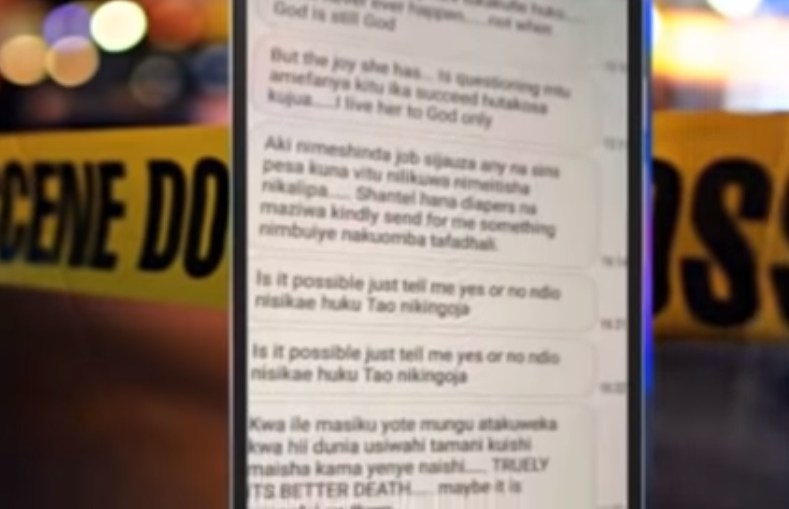 Kori and his mistress secretly dumped the late Mary’s body in a dam along Thika Road.